Established neighbourhoods on lots framed by mature trees and vegetation, with large park-like spaces bordering the residential areas. 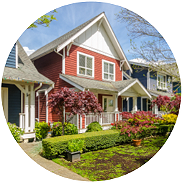 Welcome to all that is the charm of the Sunnyside Park community. If you’re looking to be in close proximity to an extensive protected urban area, numerous sports facilities and shops in the centre of town, then Sunnyside Park has an address with your name on it! In the early 1900s, Sunnyside was home to a handful of logging companies. One company, Apex Operations, used fir timber from the area for airplane parts during World War I. The old growth forests of hemlock, western red cedar, and Douglas fir in the area were almost completed logged by the early 1900s, and the remaining forest was later burned by fires in the 1920s. Sunnyside Acres Urban Forest preserves the second-growth forest that replaced the original growth destroyed in the fire. Before the Urban Forest was protected, the undeveloped land was considered for various development activities such as an airport, underground gas storage, a golf course and residential housing. A “Save Our Sunnyside” group formed in the 1980s to clean up and protect the area, part of which includes the headwaters of Elgin Creek. The urban forest now provides outdoor enthusiasts with easy access to green space, trails and wildlife. 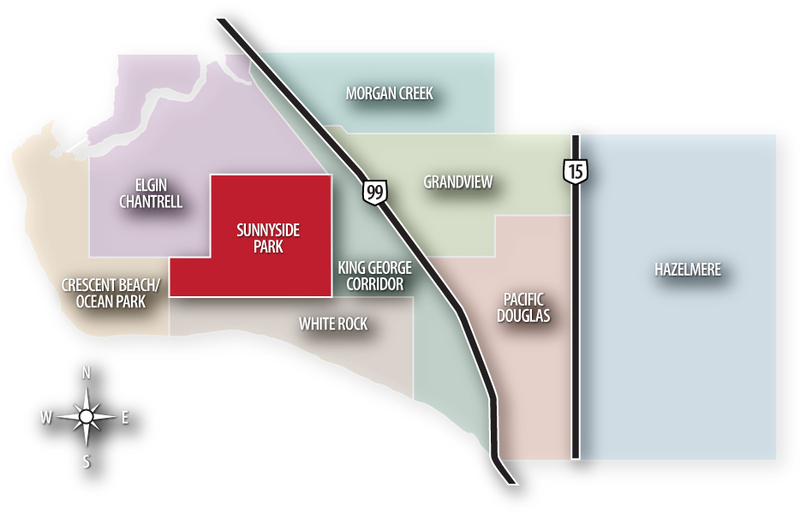 The natural makeup of Sunnyside Park makes it a desirable neighbourhood for many age groups. 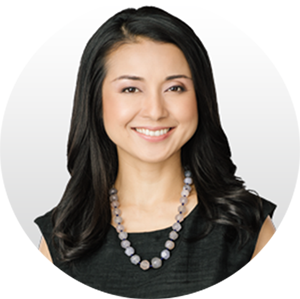 You’ll find families and singles living in the mid-sized lots along 16th Avenue, and on the largely forested lots north of 24th Avenue. Retirees reside in the clusters of townhouses and apartments on the East side of the neighbourhood, which are close to the walkable town centre. There are a lot of state-of-the-art sports and recreation facilities hosting several regional and international competitions here. 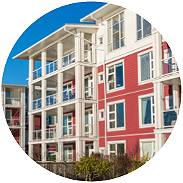 Close proximity to the “Uptown” Shopping District of South Surrey & White Rock rounds out the neighbourhood amenities with several restaurants, a mall, and a variety of small shops. Whether you drive your car or plan to take transit to school and shopping, Sunnyside Park is an easy place to get to and from. Public transportation via Translink’s South Surrey & White Rock Buses makes it easy to travel to schools and shopping centres, while commuter buses provide easy access for those working in Richmond or Vancouver. If driving is your transportation of choice, you’ll find Sunnyside Park is accessible by Highways 99 and 91 from the Greater Vancouver area, and Highway 10 via Highway 15 from the Fraser Valley. You can then easily access Sunnyside Park using the King George Boulevard exits off Highway 99, and via 24th Avenue, turning right off of Highway 15. This bakery caters to a multi-allergy clientele, serving wheat-, nut-, dairy-, soy- and egg-free baked goods. 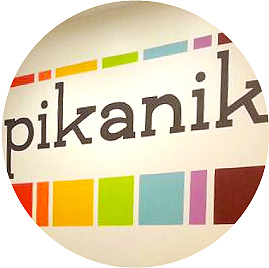 Pikanik was named Best Bakery in 2013 by the Surrey Now Newspaper. 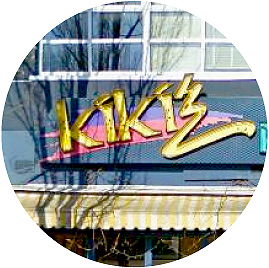 A staple in the community for great food, Kiki’s has been serving timeless family recipes and authentic Mediterranean dishes since their doors opened in 2000. You’ll find their lounge to be a great place to watch the game on the big screen TVs. Sunnyside’s popular Japanese restaurant is conveniently located in the town centre. 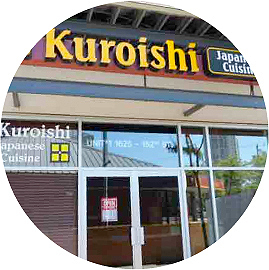 With the Tuna Tatami Salad a must-try on your first visit, it is no wonder Kuroishi was voted best Japanese Restaurant in 2011 by the Surrey Now Newspaper. 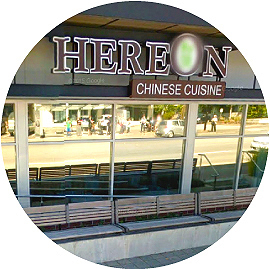 With a modest yet contemporary Dim Sum menu, Hereon’s is a South Surrey Chinese restaurant worth visiting. Quality authentic dishes are paired with great service for either dine-in or take-out experiences you’ll remember. An eco-friendly, yet modern recreation and arts facility that offers arts and recreation programs for all ages. That’s what you’ll find at the South Surrey Recreation & Arts Centre! With a wheelchair-accessible fitness centre, dedicated arts spaces, full-sized gymnasium, public art displays, and a cafe, there is no shortage of things to do here. In fact, Semiahmoo Arts runs the Turnbull Gallery, Semiahmoo Potters Society and Scotiabank Arts Studio at the Centre. South Surrey Athletic Park has the facilities for soccer, football, rugby, baseball tennis and volleyball covered for all sports enthusiasts. And for something totally unique, it also has a BMX bike park! For ice skating and hockey games/practice, visit South Surrey Arena. It is one of two Olympic-sized rinks in the Lower Mainland and home to the BCHL Surrey Eagles. And if you’re looking for a great book to checkout for the weekend, or would like to see what is available for community programs and services, the Semiahmoo Library has it all. It welcomes patrons to use the library’s meeting rooms, and offers locals artists the opportunity to put their artwork on display. Take a self-guided interpretive walk in the Sunnyside Acres Urban Forest. It teaches visitors about the park’s tree species, habitat, and its unique history. At 370 acres, this natural area is home to a mixture of trees and shrubs, as well as coyotes, black-tailed deer and 70 different bird species. The forest is kept as close to a natural state as possible, and is one of the first dedicated urban forest parks in Canada. Next, check out the trails and get some exercise at the South Surrey Bike Park. Located in the Sunnyside Acres Urban Park, it has paths and obstacles suitable for all skill levels. Then, don’t miss watching the annual Canada Cup International Women's Fast-pitch Tournament at Softball City, located in South Surrey’s Athletic Park. And last, but certainly not least, visit one of South Surrey’s most visible sustainability features — the Largest Green Wall in North America. Located at the Semiahmoo Library, the wall covers 3,000 square feet and consists of over 10,000 individual plants representing more than 120 unique species! 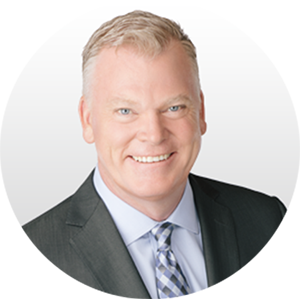 Whether you’re a first-time home buyer, downsizing, or looking for an established neighbourhood on lots framed by mature trees and vegetation, Glenn can help you find the home you are looking for. 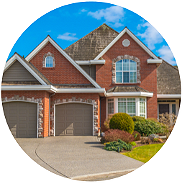 Browse some of the listings available by clicking below. Can’t find what you’re looking for? Contact Glenn and his team today for a no-obligation consultation and we’ll help you get the keys to the perfect home in Sunnyside Park!